This maid of honor never wears makeup, so we decided on a soft and natural look. Alicia has big, beautiful green eyes that I really wanted to play up so I used silvers and purples to give them a great glow. No special occasion makeup application is complete without soft, batty lashes so we enhanced her eyes a bit more with a pair of false lashes and some liner. With or without makeup, Alicia is a beauty! But using cosmetics to enhance your current beauty is a great way to boost self esteem and bring out your favorite features. Do you have a special occasion coming up that you want to look extra special at? Give me call so that we can figure out your best look and set up an appointment! Thinking about changing your hue? While some may say to change it with the seasons, there’s no “perfect” time to switch it up. If you’re feeling like something different – go for it! I’ve made choosing your next look an easy process by listing all of this year’s hottest hair color trends in one place, along with beautiful pictures to go with each look. 1) Platinum blonde – keep in mind that this look won’t suit all skin tones (generally it works well with cooler skin tones). This look is Hollywood Hot, but does require regular maintenance. 2) Bronde – No, that wasn’t a typo. This is the perfect shade of brown and blonde, made popular by celebrities like Natalie Portman, Jennifer Aniston, and Gisele Bundchen. 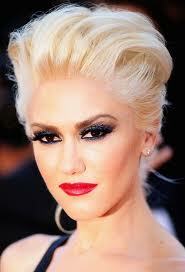 This look suits a myriad of skin tones, so it’s super versatile and a perfect shade for any Florida girl! 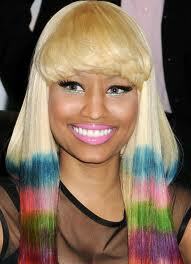 3) Ombre – This is ALL the rage. Any why shouldn’t it be? It’s gorgeous! “Ombre” comes from the French word meaning “shading” or “shaded”. An ombre look can be subtle or drastic, and either way – it looks amazing. This is another look that can work well with almost any skin tone. 4) Bright Shades – Whether it’s a pop of blue or pink streaks against jet black hair, a pastel pink peekaboo highlight in platinum blonde, or multiple colored dip-dye ends, celebrities are loving bright shades. It’s definitely a more eccentric look, but I’m loving it! 5) Balayage – this a very natural way of highlighting and works super great for sun-kissed, summer highlights. The great thing about living in West Palm Beach though, is that it’s practically summer all year long – so this look is great for us Florida gals! Which look are you ready to rock? Give me a call or book your appointment online so that you can be sporting one of this years hottest looks! Meet Jodi! She had really blonde hair, but decided she wanted to change it up a bit with the ever popular ombre look I decided to give her a lowlight effect with ombre color all over! 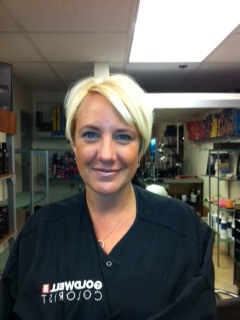 Jodi also did the keratin treatment, which gave her silky smooth and frizz free hair. 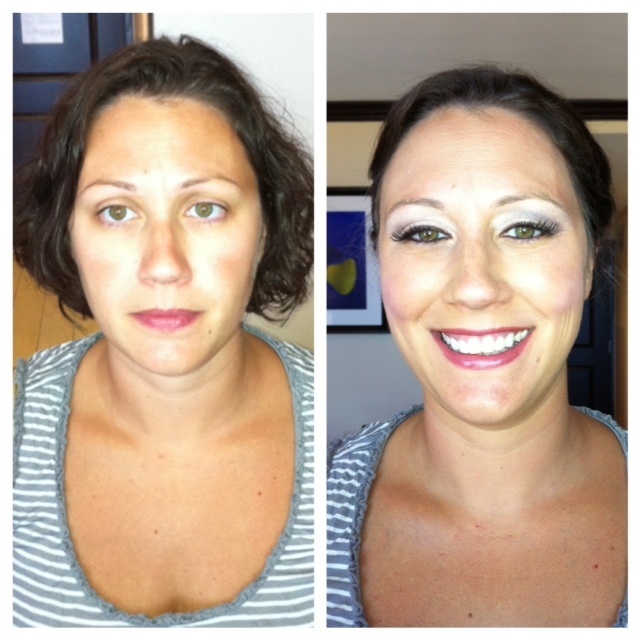 Jodi is such a beautiful girl, and I’m so happy that I was able to enhance that beauty with this great look. What do you think? 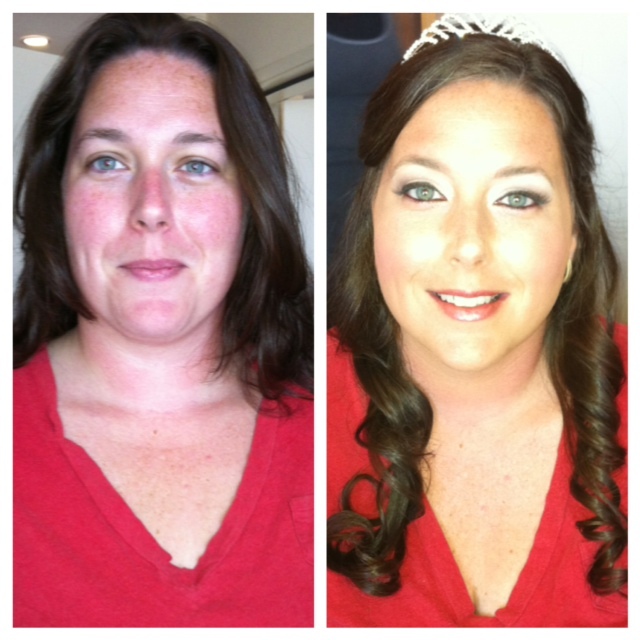 Tyia called me last week for a last minute hair & makeup application for her wedding. Rather than doing a bridal trial we figured out what look she was going for and helped her to feel amazing on wedding day. Tyia usually doesn’t wear a lot of makeup, but wanted to look extra special for her hubby to be on the big day. We went for a very light, natural look with purples and browns, but added a little definition with liner and false lashes. Soft pink lips finished the look perfectly. Tyia wanted a half up, half down hairstyle, so I set her with pin curls all day so that it would hold through the whole night. I brought a little bit of height to her crown and her beautiful tiara polished up the style and made her look kiss-the-groom ready. There’s nothing worse than having an image in mind of what you want your hair to look like, only to end up with something completely different than you imagined. Ditch the drama and listen to my Insider Tips on how to get the haircut you really want. 1. Make sure the stylist knows your hair type – while it may be tempting to shampoo before your appointment, it’s best to see your stylist with dry hair so that they can feel your texture, see your hair’s growth pattern, and really make sure that the cut you want will work with what God gave you. 2. Bring a picture & be descriptive – Make sure you take along pictures to your salon visit so that your stylist can get an idea of what shape, texture, and color you’re looking for. It’s also a good idea to point out your favorite and least favorite part about the style. Be sure to use descriptive words to get your point across, like “Soft bangs”, “Rich Brown”, or “Choppy Layers”. 3. Let them know your style MO – Are you willing to spend 20 minutes every morning to get your hair done or are you a wake up, brush and go type of girl? This plays a huge role in whether or not your desired style will fit in with your lifestyle and schedule. 4. 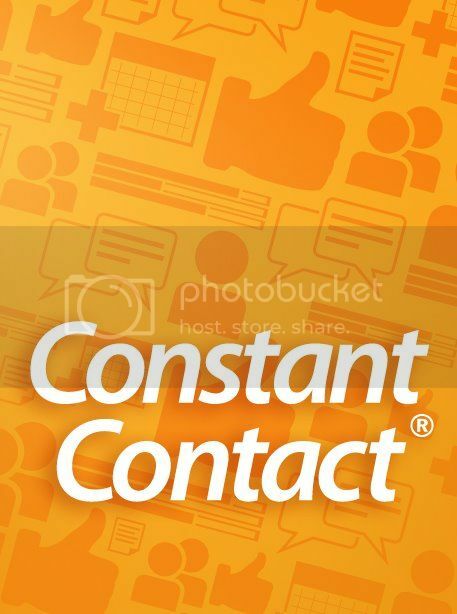 Take a 360 Tour – Be specific about what you want the front, back, and sides to look like. Most times, the picture someone brings in only shows one angle of the hairstyle. Make sure the stylist understands the cut completely before picking up the scissors. 5. Maintenance – Ask your stylist what products and upkeep is going to be needed to keep your hair looking like you want. Your hairstylist should be able to easily let you know what the right steps are to keep your look “fresh from the salon”. Following these 5 steps will ensure that you have the perfect cut and style that you’ve been dreaming of. And don’t think that you’re being an annoying client by asking all of these questions! Your stylist will appreciate you being so thorough. We don’t like you leaving the chair without the look you wanted either! Being thorough will help us both to get what we want. So what cut have you been dreaming of but were afraid to take the plunge? 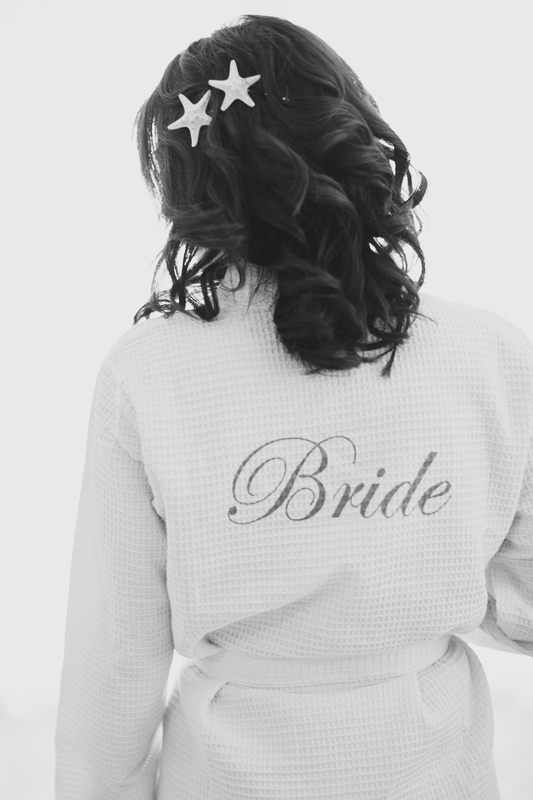 Call me or book your appointment online so that we can make that dream a fashionable reality! Big News from Hair by Zaklina! Zaklina is pleased to announce the Grand Opening of her new exclusive salon! The new upscale hair studio is located in the heart of West Palm Beach, offering one on one services for distinctive individuals. Zaklina is dedicated to providing her clients with the highest level of customer care and comfort in a boutique loft on the fourth floor of the Historic Harvey building in the beautiful downtown district. Always staying educated on the latest techniques and trends has kept her at the top of the local industry. Zaklina’s VIP services cover all ends of the beauty spectrum and she’ll help you look your best, no matter the occasion. Zaklina offers a wide range of quality services from precision cut & color, make up artistry and hair straightening, hair & eyelash extensions, and more. Her attention to detail and tenacity for perfection will ensure that your look is polished and at its best. The glamorous boutique studio provides one on one attention in a beautiful and relaxing atmosphere, so that your experience is one to enjoy and remember. After leaving, you’ll be ready to hit the streets with renewed confidence and a fabulous new look! Z is looking forward to welcoming you to her new studio! The new studio is booking fast – so set your appointment now! Check out Michelle’s lovely curls and dark violet brown hair in the before. We’ve been styling her hair like this for over a year, and she decided it was time for a little change. I lightened her violet base to a red brown and also added some ombre highlights to bring some brightness to her ends. She loves her curls, but wanted them to be smooth and frizz free. 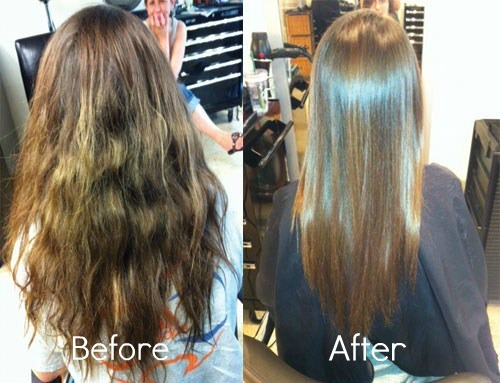 I did a keratin treatment to defrizz her lovely locks and give them a smooth and shiny feel. Now Michelle has a new look, and she’s rocking it! What do you think? 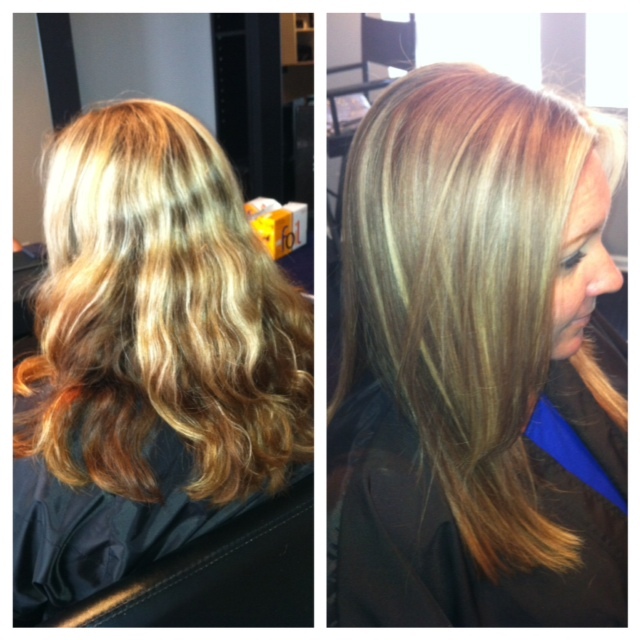 My client Jillian came to me wanting straight, silky smooth locks. So many people automatically think that means they should get the Brazilian keratin treatment, but there’s another option! Japanese straightening provides a permanent straightening solution, unlike the Brazilian which only lasts for 6-8 weeks and really only controls frizzies. Granted, new hair growth will have to be treated and processed, but the Japanese treatment provides a lasting solution to straight hair! That’s because it changes the internal bond of your hair to be straight, whereas the Brazilian only smoothes out the cuticle and repairs hair damage. It only takes around 4 hours and gives amazing results! 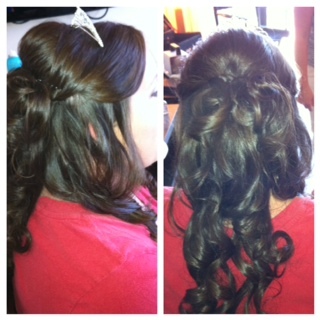 Check out Jillian’s before and after and give me a call so that we can get your locks straight and smooth too! Meet Jenna! Jenna was a bride I did about a month ago and I finally got the professional pictures. I love sharing these pictures. 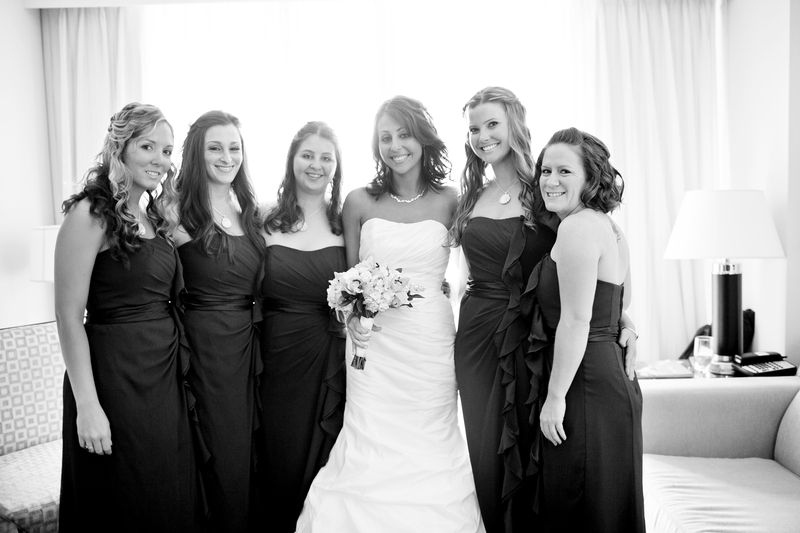 Jenna was such a beautiful bride.Her bridesmates wanted to wear half up half down with loose curls. I love adding different curls and textures to the girl’s hair just to give each one her own style. Even though Jenna wore a short style, we added the clip in extensions to give Jenna more body and volume for her wedding day. Did you even notice that she wore the clip in extensions? Jenna’s pictures came out beautiful and I wanted to share. Check out the pictures below. Have short hair and want to take it up a notch? Add some chunky and choppy layers to add amazing texture. Whether you have a bob, pixie, or a-line haircut, adding some grit or disconnected layers into your look will really change the shape and make it more interesting. Meet Julie! 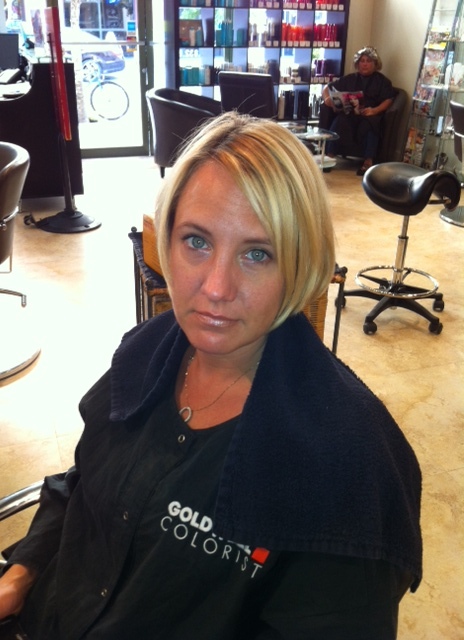 Julie had a long bob and wanted a short,cute choppy haircut. Julie also asked to go super blonde for the summer .With these 2 new looks , Julie was a new women. 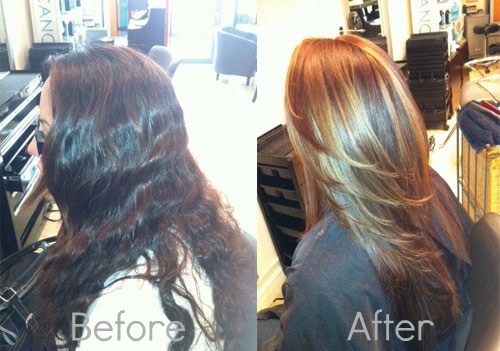 Check out her before and after pictures! What do you think of her before and after?